Admiral Jake begins in a forest of frenzied flight. Matey, her family, and others from their pioneer settlement must do all they can to flee the marauding pirates, but things do not go well. After a horrific sequence of events, 17-year old Matey and her 12-year old brother, Buck, must find their way back to safety and somehow find a way to move on. But the difficulties do not cease, nor is the direction easy to discern, nor are the souls they encounter in all ways familiar. Whether flyers or dwarfs, pirates or double-realm rovers, storytellers or others, all are in various places of conflict and confusion, converging in and out of troubles and trials. Matey must find out what side she is really on, to what end must she aim, is triumph even possible, and does it really make any difference at all? 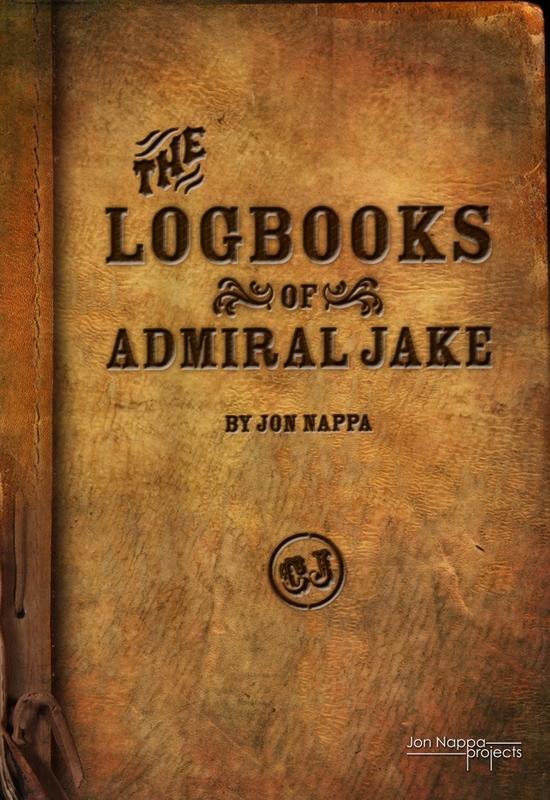 The Logbooks of Admiral Jake is scheduled to be told over the span of 12 annually-released novels with many exciting surprises along the way. Each edition is already designed and will be handsomely bound with illustrations in every chapter. Christmas 2017 brings the debut volume and triggers the release schedule of one volume for each of the next 12 years of Christmas. As 2018 arrives and counts down to Christmas 2018, visit these pages for progressive glimpses into what the next volume (The Logbooks of the Ocean Void) promises to reveal. The kernel of inspiration for this series began many years ago while I was a young upstart in the motion picture industry. Simultaneously occurring at that time was an ongoing television series promoting an upcoming Amazon Expedition by the son of famed explorer, Jacques Cousteau. Much anticipation was built about what might be encountered. After waiting several months for the first documentary broadcast of the expedition, I was disappointed in the eventual presentation. It wasn’t that the actual expedition wasn’t interesting or fascinating or excellent in many ways – it was all of those things. However, it did not live up to my hoped-for and imagined expectations. Shortly thereafter, I began imagining what a jungle river adventure might be like if it truly turned out to be filled with fantastic adventure and out-of-this-world encounters. In time, my seed idea grew into an ocean-going series inspired by C.S. Lewis’s Chronicles of Narnia, J.R.R. Tolkien’s Lord of the Rings, the Cousteau Amazon Expedition and, of course, the larger questions of love, life, death and the hereafter. After all, like everyone of us, I found myself on a journey through life that would eventually include getting older, and for me that included getting married, having children, facing trials, embracing joyful triumphs, enduring tragic heartbreaks, at times feeling like it all made sense and smartly added up, and at other times feeling like I was lost in a fog or at the end of a precipice, wondering: where is it all going? what does it all mean? does it mean anything at all? and why is this so hard? Of course, these will fill as the books are released. I hope yours will be among those found here. Vivamus tempus est libero, ac lobortis odio hendrerit in. In eu odio ac dui congue fringilla sed vitae metus. Donec molestie neque quis quam tristique, volutpat tempor arcu iaculis. Donec iaculis tempus porttitor. Quisque convallis purus nec purus tempor elementum. Quisque commodo ante in rutrum accumsan. Nullam fermentum arcu magna. Interdum et malesuada fames ac ante ipsum primis in faucibus.